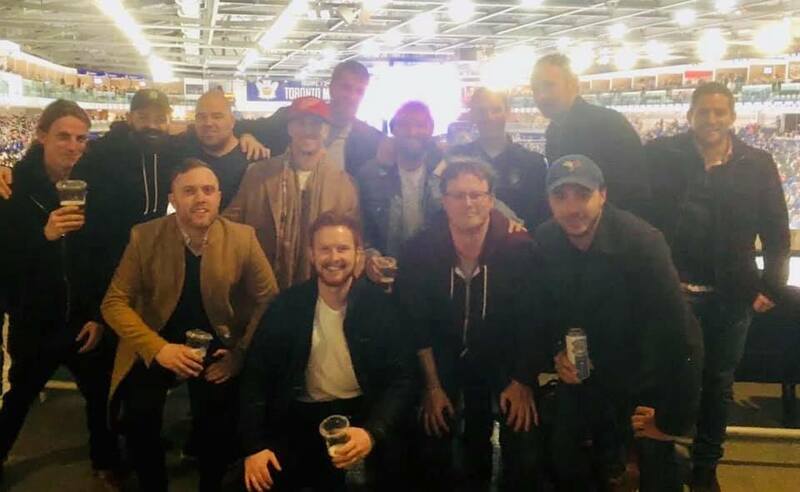 The Dingos' 2019 social calendar kicked off on Saturday as the team headed to the Ricoh Coliseum to watch the Toronto Marlies take on the Rochester Americans and crowd favorite Scott "Wedgie" Wedgewood. Marlies games have become marquee events on the club's calendar, with this being the seventh successive season that the Dingos have taken in an AHL game. Having found success in recent years and having a number of players step up to the Leafs, the Marlies still find themselves good for third place in the AHL North Division. Saturday's game had the Marlies on the front end of their double header against the Americans. Ultimately the Americans proved too strong in this one, running out winners 5-2. As always the Dingos thoroughly enjoyed their outing at the Marlies though. The Dingos love the Marlies. The day was bookended by some light refreshments at local bars celebrating the kick off to the Dingos' 24th season. If you're interested in joining the Dingos for the 2019 season, please contact recruiting@torontodingos.ca. All are welcome with no prior experience required.